(NaturalNews) Few plants have been as revered throughout recorded history as hemp. This green herbaceous plant, which is a high-growing variety of Cannabis sativa, has been cultivated for centuries to make durable clothing fibers, nutritious oils, building material and even paper. Traditional medicine, particularly ancient Chinese and Ayurvedic medicine, also prized the plant for its significant medicinal properties. Since hemp does not contain large amounts of tetrahydrocannabinol (THC), the mind-altering ingredient found in regular marijuana, hemp products are legal in most countries, though growing it is still illegal in the United States. One of the most popular of these products is hemp seeds, which are pleasant-tasting, highly nutritious and produce many health benefits. One hundred grams of shelled hemp seeds contain 45 grams of total fat, of which 3.3 grams are saturated. These fats contain a perfect balance of omega-3 and omega-6 fatty acids, which are essential polyunsaturated fatty acids that the body needs in large amounts but can’t manufacture itself (meaning one has to obtain them from dietary sources). Consuming these fatty acids has been linked to improved memory and cognition. Moreover, according to a review published in Nutrition & Metabolism in 2010, the fatty acids found in hemp seeds have the ability to boost platelet aggregation and protect against coronary heart disease. One hundred grams of shelled hemp seeds also contain a whopping 36.7 grams of protein, which is 73 percent of the recommended daily intake. This protein contains all eight essential amino acids, making it a rare example of a complete vegetarian protein source. In fact, research published in the Journal of Agricultural and Food Chemistry in 2010 discovered that hemp seed protein contained a protein digestibility-corrected amino acid (PDCAA) score that is greater or equal to most other plant-based sources of protein, including nuts, pulses and grains. For this reason, hemp seeds are one of the finest protein sources for people who wish to avoid animal products. Given their high protein concentrations, it’s unsurprising that studies are now linking hemp seeds to significant anti-fatigue benefits. For example, a study published in the Journal of Hygiene Research in March 2008 found that mice which were fed hemp seed protein could swim for a much longer time than a control group. The researchers, who were from China, also discovered that the protein possessed immune-boosting properties and was able to reduce lactic acid in the blood (lactic acid is the acid that regularly accumulates in the bloodstream, often leading to muscle soreness). Hemp seeds are an excellent source of soluble and insoluble dietary fiber. Though fiber is best-known for its ability to cleanse the colon and help treat constipation, it also helps absorb sugar in the intestinal tract (thereby preventing type 2 diabetes) and encourages the liver to make more bile salts (thereby reducing LDL cholesterol). Please note, however, that the most fibrous part of the seed is the shell. Therefore, shelled hemp seeds, also called hulled hemp seeds or hemp nuts, will contain far less fiber than their unshelled counterparts. Since most seeds (hemp or otherwise) tend to be consumed for their high concentrations of fat and protein, people often forget that they often contain surprisingly large amounts of essential minerals. 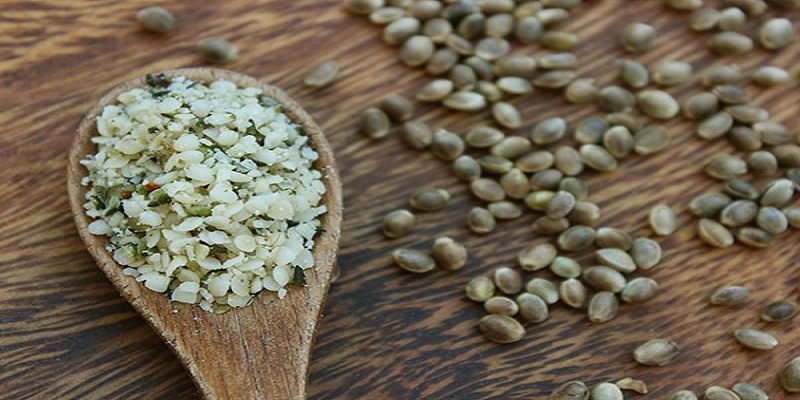 In the case of hemp seeds, those minerals happen to be iron, magnesium and zinc — three nutrients in which the American population are particularly deficient. Deficiencies in magnesium are particularly widespread and can lead to anxiety, insomnia, restless leg syndrome and other stress-related symptoms. Consuming a handful of organic hemp seeds on a daily basis, however, can correct a good number of these deficiencies, thereby alleviating the need for related supplements.